Cherries can do really awesome things for your body. They are rich in antioxidants which help repair damage done to your cells, and can help ward of cancer cells from forming. They are also really delicious, which is why I decided to make them the star of my smoothie yesterday morning. I’ve been experimenting with smoothie recipes for a while now to find the right combination of ingredients to make it really healthy, while also yummy. This is it! 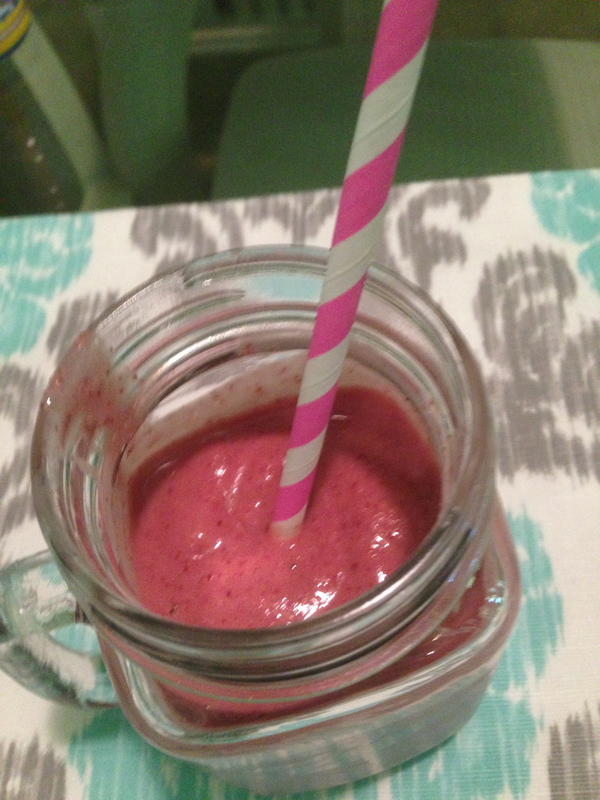 I added frozen cherries, half of a small frozen banana, half a scoop of protein powder, half a container of Greek yogurt, and one tablespoon of flax seed meal. I used what I had on hand this morning, but normally, I would also add a big cup of spinach to this as well. Once it’s mixed in, you can’t taste the spinach, but you still get all of the wonderful nutrients. 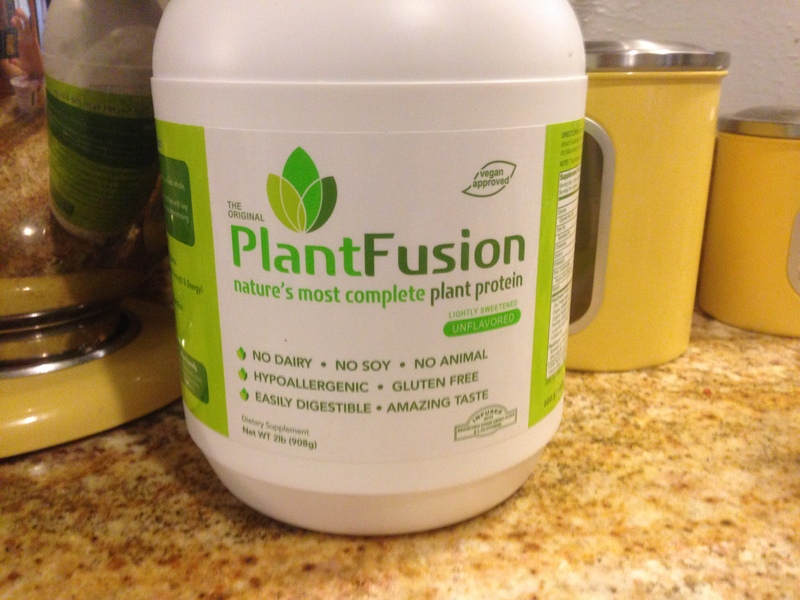 After trying a few different protein powders, Plant Fusion is my favorite. 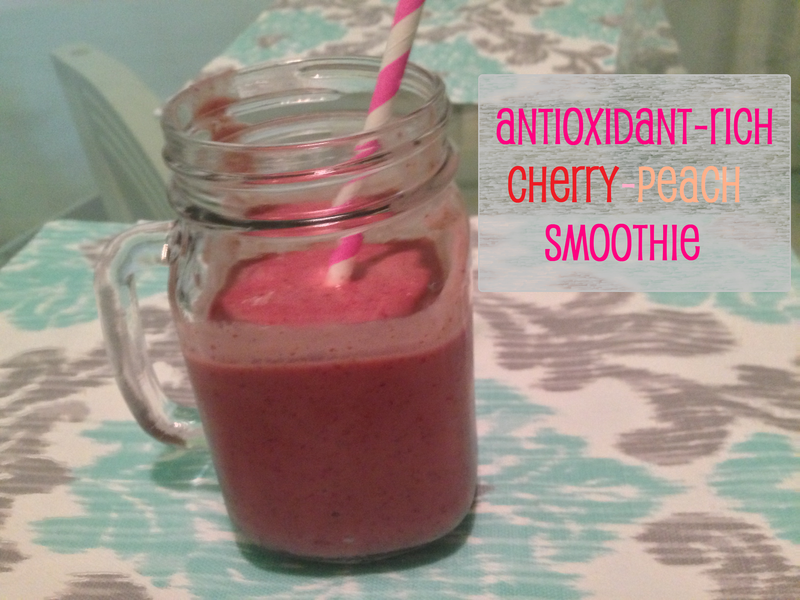 The flavor is mild and blends well in smoothies. I also love that it’s free of soy, because people eating gluten-free diets definitely get enough soy in other gf products. Finally, I wanted to find a protein powder that was made from plants and not whey. Just a personal preference for me, but I’m not a huge fan of the way whey tastes. 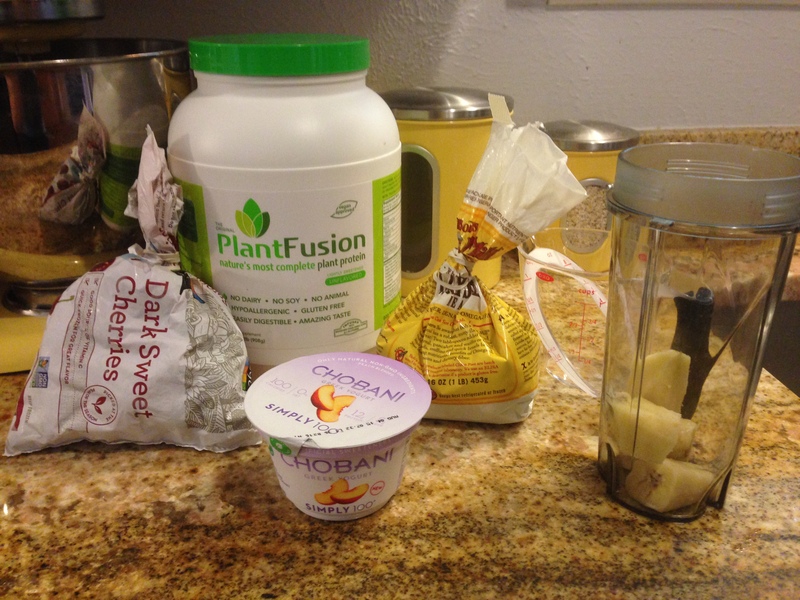 Just add all of your ingredients to your blender… even better if you have the single serving blender cups! The best part is that it packs only 243 calories and 4 grams of fat while providing 21 grams of protein, and 9 grams of fiber! 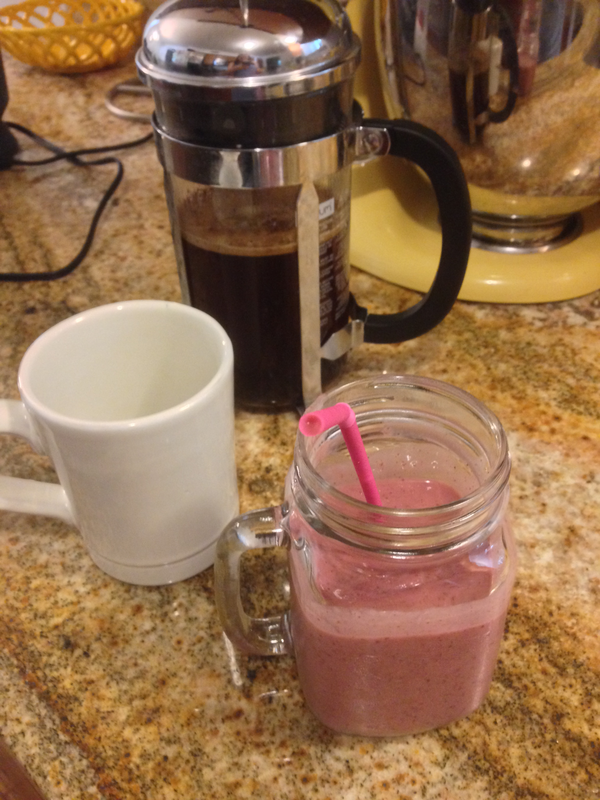 A complete breakfast that you can sip as you get ready for work. 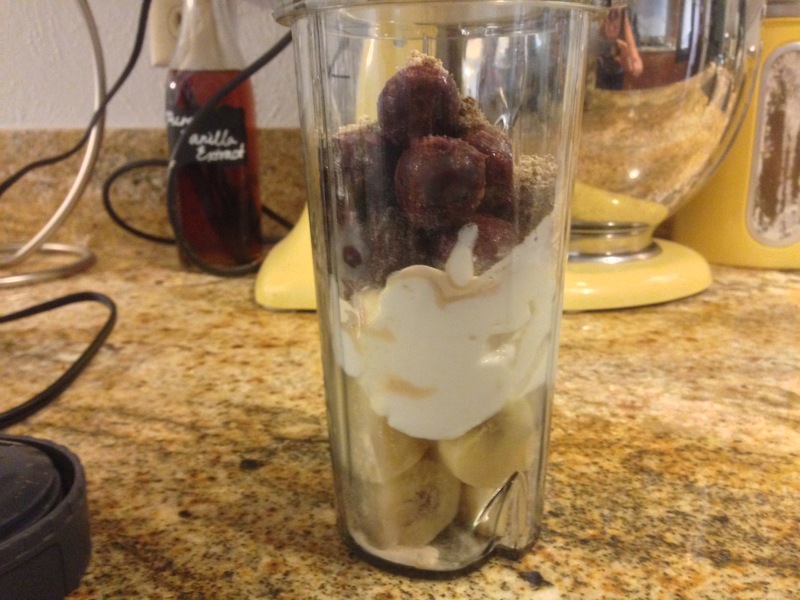 place banana, yogurt, and cherries in the blender. top with protein powder, flax seed meal, and spinach. Add in ice cubes and water. 1 serving= 243 calories, 35 grams of carbs, 4 grams of fat, 21 grams of protein, and 9 grams of fiber.